Create something memorable to commemorate the event. We’re not highly crafty, and I wanted a project the kids could really own. So, we went to A C Moore & picked out shirts in whatever dark color they wanted and white fabric paint. 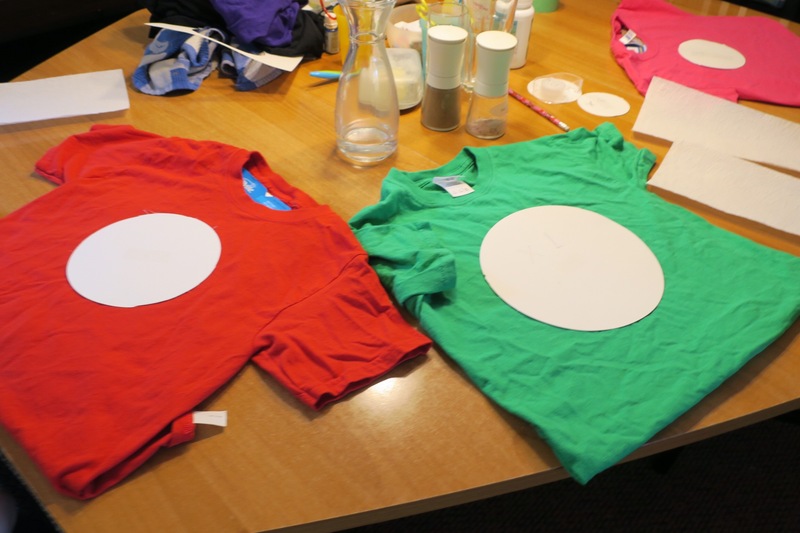 At home, we cut circles of various sizes out of a thick art paper (I used a rotary cutter) and tore up old cereal boxes to use as the inserts to keep the paint from bleeding through the shirts. 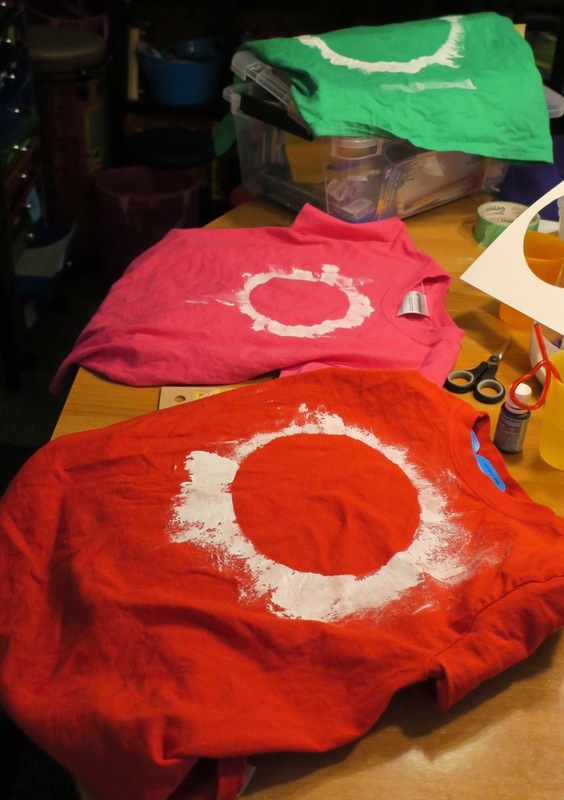 I used painter’s tape to hold the circles in place on the shirts, and put a bead of paint around the edge of about 1/4 of a circle at a time, direction towards the kids. 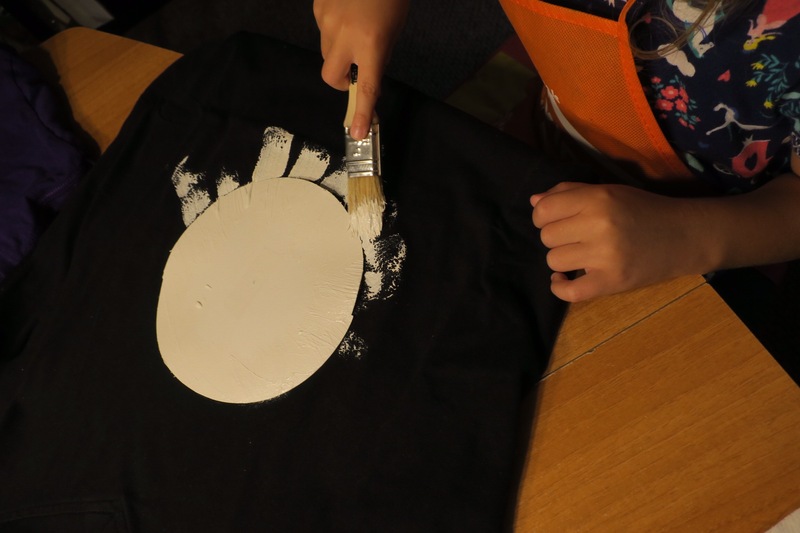 They pulled the paint from the circle out onto the shirt for that quadrant, and then we rotated the shirts 1/4 turn & applied paint to the next section. We found that a cheap bristle brush worked best. All in all, for less than $5 a shirt, I’d call it a success.